It is July 17th. I have just finished mixing the new record with Roger Moutenot. He has worked with Lou Reed, Rosanne Cash, Paula Cole and the list is much longer. He has been lovely. A true artist. 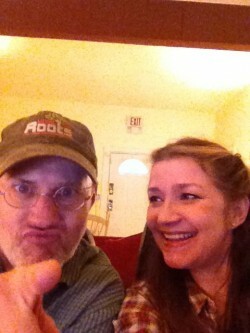 Thought I’d go outside of the box, my co-producer David Henry nudging me a little. David is on a Winnebago family vacation this week and I know it’s hard for him to not be here right now, but Roger was his mentor and he felt okay about leaving with his adorable little family. This record is a bit of a departure from the last, but the response has been great. I felt a little nervous about jamming another record a year later, but everything fell into place. The songs came, the incredible, feral musical genius, Jason Goforth…and David, priceless. It has been a grueling schedule, but a joy. It should be released in the fall in the U.K. on Proper records and then later on Dualtone, stateside. I’ve never done a record this way before. It is more time consuming, but I’m really happy with the results. Can’t wait to get it out there!